Bend some wire to form a body, wrap it with colourful raffia clothing, and add sparkly yarn hair. You've just made a friendship pixie! But that's not all. Each pixie gets a twinkly charm that symbolises a wish for a friend —useful things such as laughter, love and confidence. 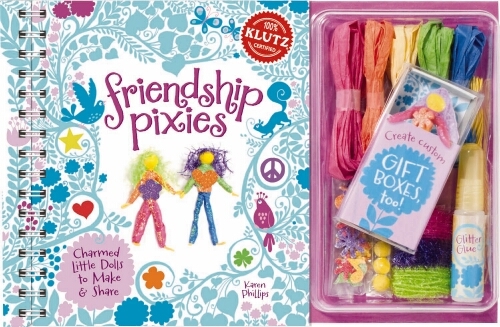 Friendship Pixies comes with everything you need to make eight adorable dolls and eight matching gift boxes. Whether you give your pixie as a gift or keep her close to your heart, she'll radiate a magical combination of sweetness, charm and encouragement.